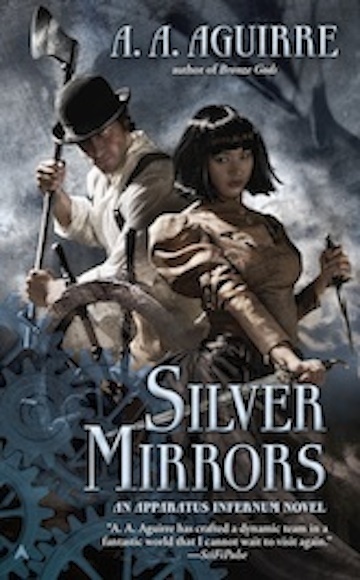 After reading her incredible SF Sirantha Jax series, Ann Aguirre – one half of the spousal writing duo of A.A. Aguirre, the second being her husband Andres – is a permanent fixture on my auto-buy list. Looking forward to delving into what’s sure to be a compelling and original steampunk offering from one of my favourite authors. The first installment in the series, Bronze Gods, has generated some really positive buzz; if you haven’t read an Aguirre book yet, this series looks like a great place to start!